Tax Group Center is proud to be apart of several leading Associations and accredited Organizations within the tax industry. We continually strive to ensure that our tax consultants and tax professionals maintain a comprehensive knowledge of changes to tax laws. We believe our commitment to training and ongoing professional development enables our team to provide better service than our competition. Originally founded by the BBB in 2008, this forum hosts consumer complaints and compliments regarding service companies. TrustLink uses redundant fact-checking systems, so consumers can depend on the quality of posted reviews. Business cannot pay for a rating on TrustLink or post their own reviews. Consumer reviews are posted without editing so you can see exactly what other consumers think about reviewed companies. Using these practices, TrustLink has quickly become one of the most trusted sites on the web. We encourage you to check out Tax Group Centers reviews on TrustLink. This National non-profit membership association was created to address the needs of attorneys, CPAs, and Enrolled Agents who regularly deal with clients suffering from IRS problems. ASTPS provides continuing education regarding changes in IRS laws and new strategies for dealing with the IRS. Members are continuously kept up to date with the newest ways to represent their clients. Each member must complete qualifying education that is directly related to a specific area of Tax Resolution. CTEC is an educational organization that was created to maintain professional tax education standards, approve tax firms, and facilitate tax preparer compliance. This is all to ensure that American taxpayers receive the best service possible. Tax Group Center mandates that all tax consultants complete the CTEC certification prior to offering tax consultants to our clients. Once our tax consultants obtain the CTEC certification, they must complete 20 hours of ongoing tax education on an annual basis. 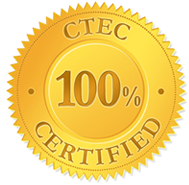 In an effort to maintain the highest standard of excellence, Tax Group Center mandates that all tax consultants complete the CTEC certification prior to offering tax consultations to our clients. Once our tax consultants obtain the CTEC certification, they must continually complete 20 hours of ongoing tax education on an annual basis and submit the record each year directly to CTEC. NAEA is dedicated to helping its members maintain the highest level of knowledge, skills, and professionalism in all areas of taxation. Members are required to complete a minimum of 30 hours of continuing education each year in the interpretation, application, and administration of federal tax laws. This requirement surpasses the IRS required minimum and ensures that taxpayers will always receive up-to-date guidance. NATP is a nonprofit association which strives to serve the tax industry by providing its members with support, education, products, and services to be successful in the tax profession. Our members are a diverse group of tax professionals that include Individual Tax Preparers, Enrolled Agents, Registers Tax Return Preparers, Certified Public Accountants, Accountants, Attorneys, and Financial Planners. Members of NATP assist over 12 million people with tax preparation and planning.